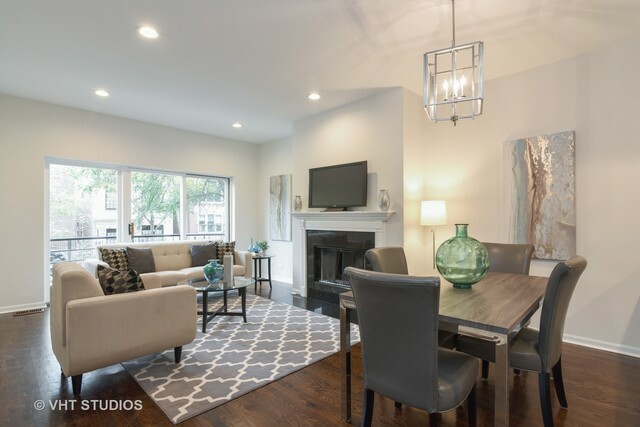 A massive duplex down in Wicker Park. Updated bathrooms and a high-end kitchen with newly refinished cabinets and granite countertops. High basement ceilings, hardwood floors, new lighting, two fireplaces. Three outdoor spaces – a rooftop deck, and a back patio, and a front patio. Steps away from all the shopping, restaurants, and transportation Wicker Park and Bucktown have to offer. This is where Center Coast agent Rob Nelson’s clients Chandrika and John live today. So how did they get this life? It all starts with a little introduction between two University of Illinois alum. 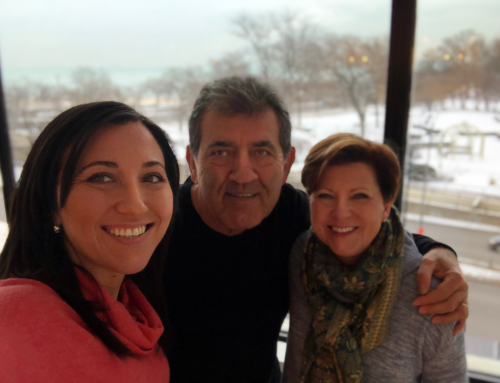 Chandrika and Center Coast agent Rob Nelson both earned their MBA at the U of I, and that’s how they became acquainted: A career coach through the university introduced the two when Chandrika was looking to move to Chicago two and a half years ago. 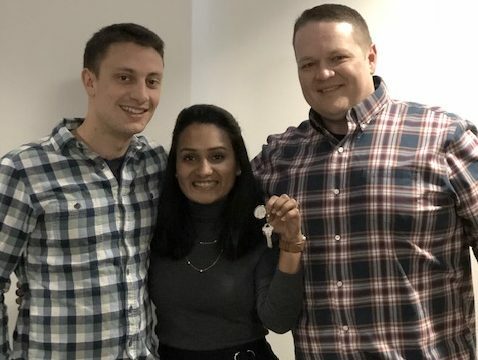 Rob helped her find an apartment in River North and so naturally, when Chandrika and her husband John were ready to purchase their first home, they reached out to Rob for assistance. Chandrika and John were married in the states this past summer, but also have another wedding planned this spring in India. Their lease ends next August but they were hoping to find a place and be all moved in well before they left the country in a few months. With a heavy deadline set, Chandrika, John, and Rob set out looking for homes in September. 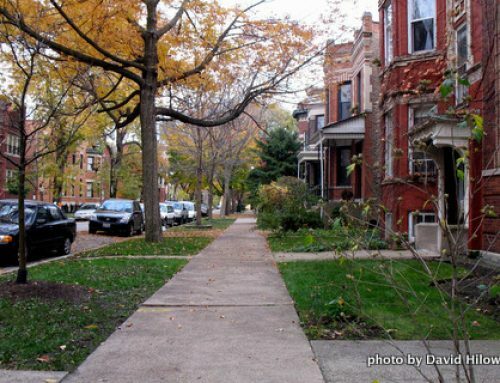 The couple was interested in duplex downs and searched primarily in Ukrainian Village and Wicker Park. John currently owns a unit in Wicker Park that he rents out, so he was familiar with the area. They were also hoping for a home that they could rent out on Airbnb – a situation that provided a little more of a challenge for Rob when searching for homes. 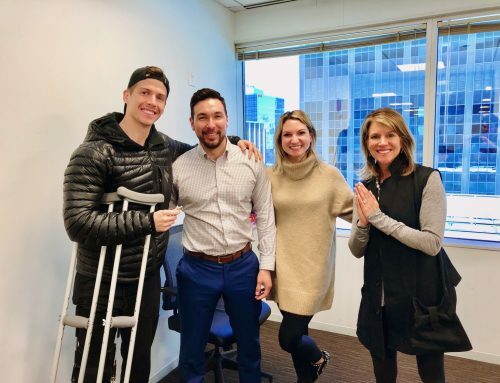 As you already know, Rob was able to deliver and the couple found the perfect home for them, nestled just blocks away from the six corners in Wicker Park. 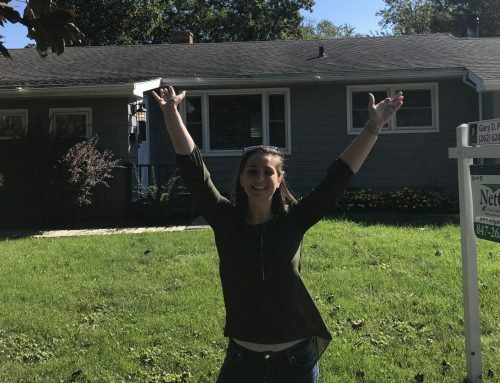 Next on the to-do list: enjoy their new home and neighborhood just in time for the holidays! 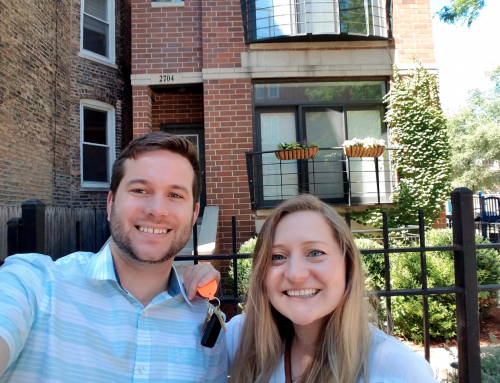 Congrats to Chandrika and John on their first home purchase, we are happy to call you two neighbors here in Wicker Park!